Through interactive tours of the tenement buildings and Lower East Side neighborhood, students investigate universal themes of cultural identity, discrimination, and human rights. All programs are led by skilled Educators who engage students in activities, storytelling, and conversation to connect their experiences to the past. All school programs support New York State Learning Standards and Common Core Learning Standards, and facilitate New Jersey Core Proficiencies for basic social studies skills, attitudes, and knowledge. To make a school group reservation, please complete the online group reservation form. 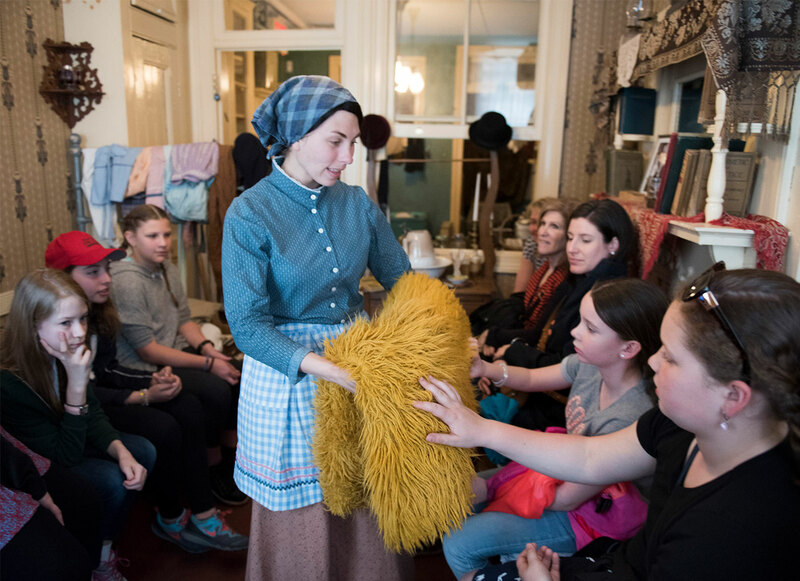 Visit the links below for help planning your school’s visit to the Tenement Museum. 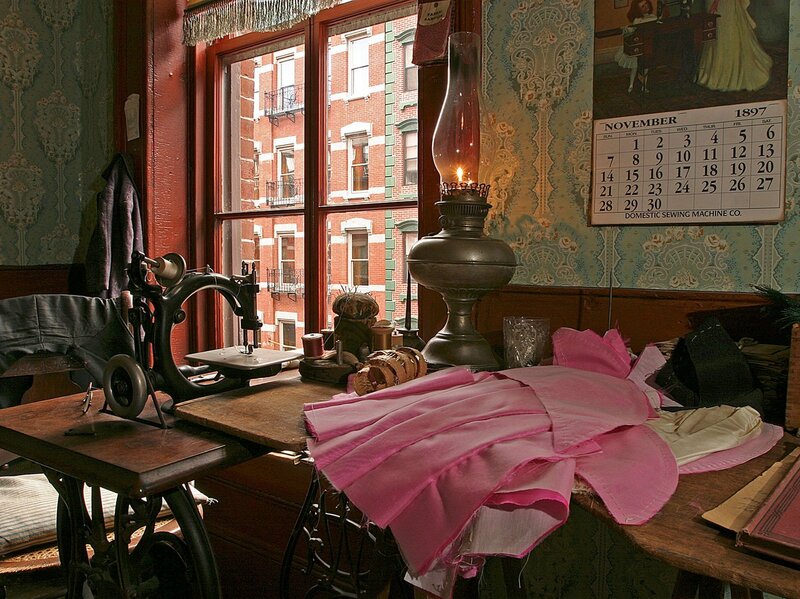 Living history programs use costumed interpreters to bring past residents of 97 Orchard Street to life. Students meet interpreters portraying actual residents and hear first-hand about their experiences. Play the part of a new immigrant family in 1916 searching for your first home. Get help from Victoria Confino, a 14-year-old immigrant who lives at 97 Orchard Street. Students ask Victoria questions to prepare them for their new lives in America and learn about the universal immigrant experience of starting your life over. Travel back to 1868 and meet Bridget Moore in her brand new apartment at 97 Orchard Street. Students talk to Bridget about how she stays connected to her Irish heritage while she creates a home for her family in a mostly German building, and draw connections between the Moore family and immigrant families today. 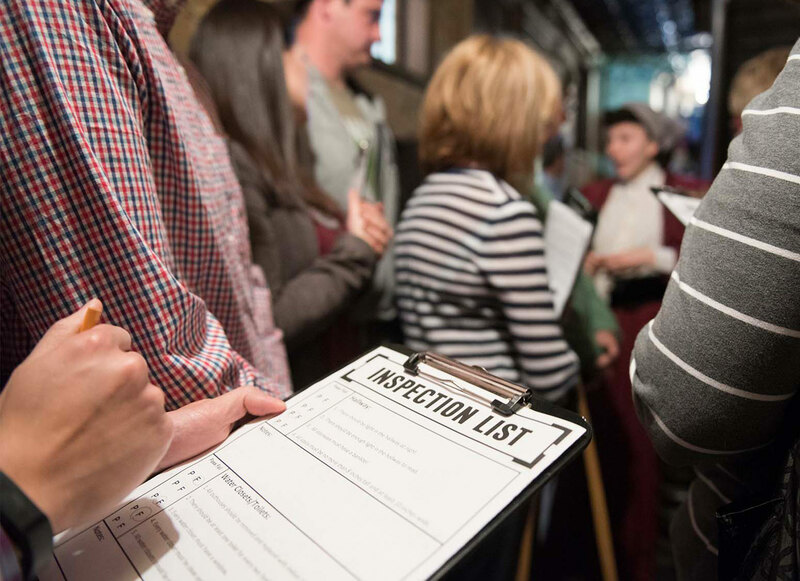 Take on the role of housing inspectors in 1906. Interview a tenant and a landlord and investigate 97 Orchard Street to determine if the building is up to code. As students debate who is responsible for taking care of the building, they think critically about how problems are addressed and what their role is in making changes. 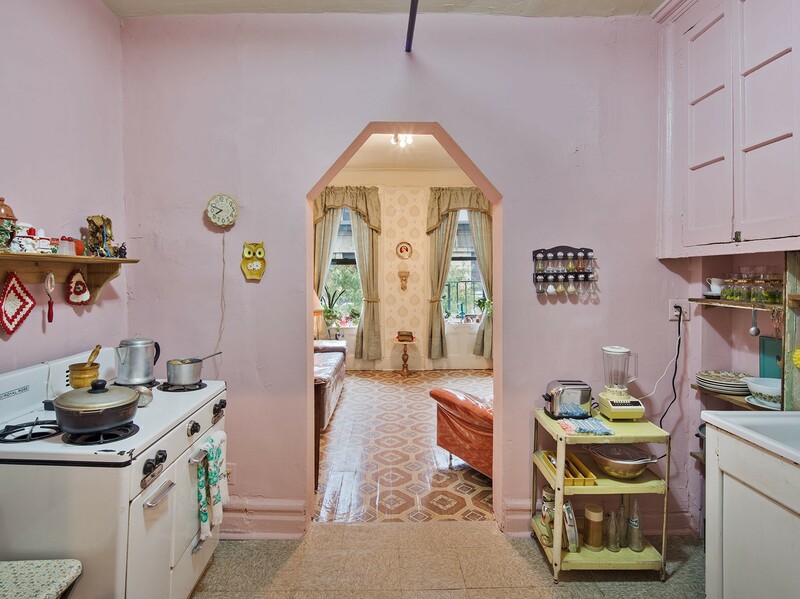 Interactive building tours tell the stories of immigrant families that lived at 97 Orchard Street. 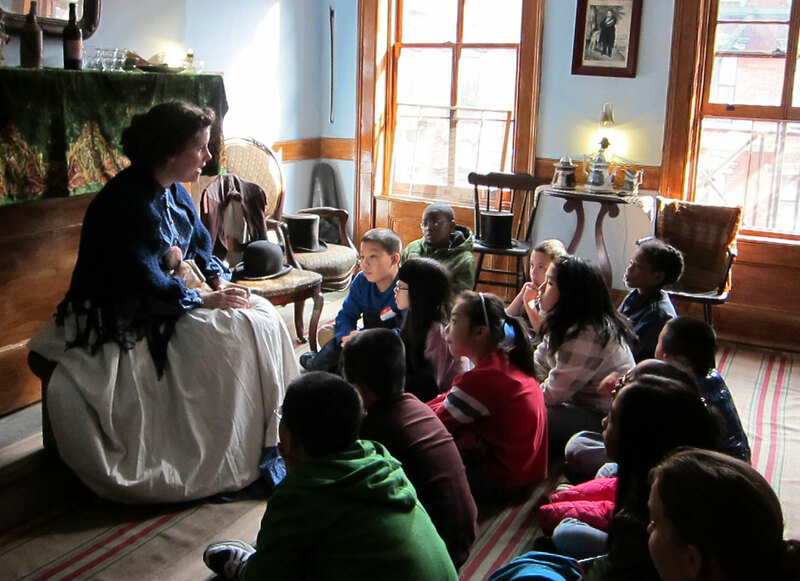 Educators use storytelling, activities, and objects to engage with history. 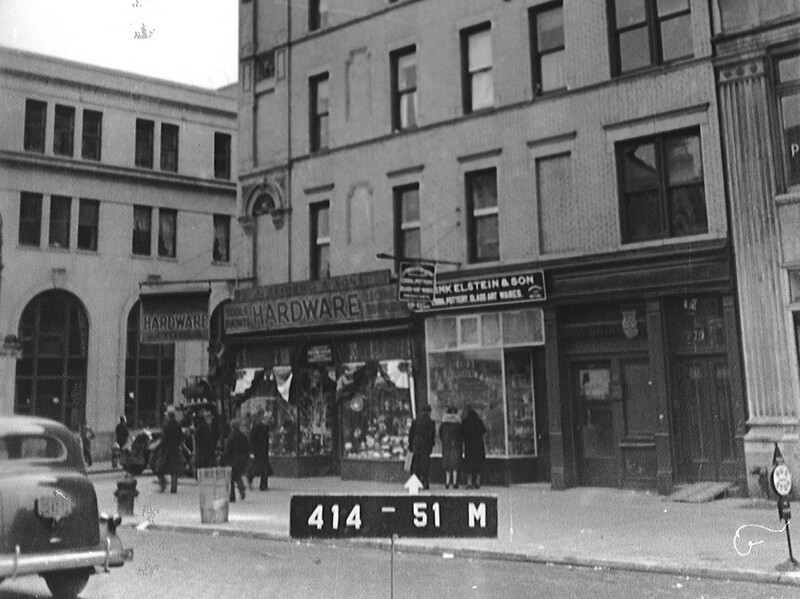 See how life at 97 Orchard Street differed for a family in the 1870s and a family during the 1930s. As students explore the Gumpertz and Baldizzi apartments, they learn how families cope with hard times and who they can turn to for help. What is it like to be an outsider? Experience the immigrant saga through the music, images, and artifacts of Irish America. 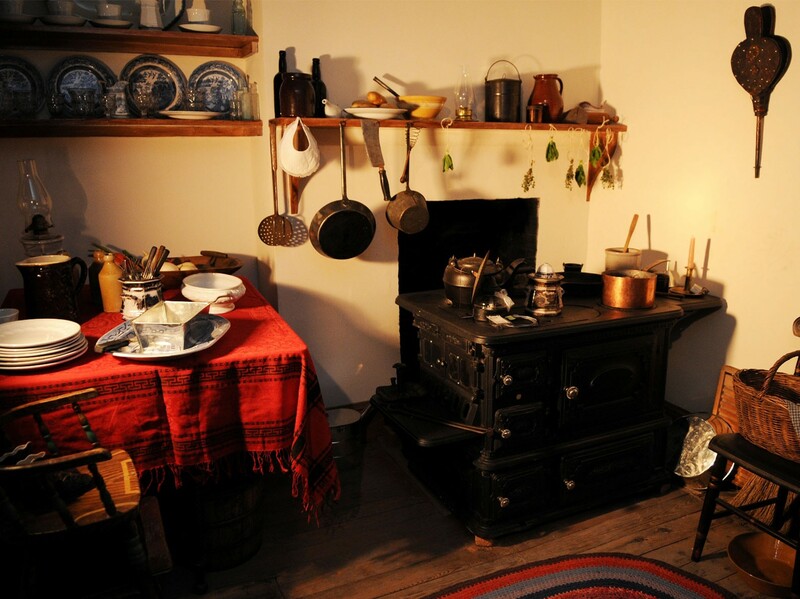 Visit the 1869 home of the Moores, Irish immigrants coping with the death of a child and explore issues of discrimination, healthcare, and survival. 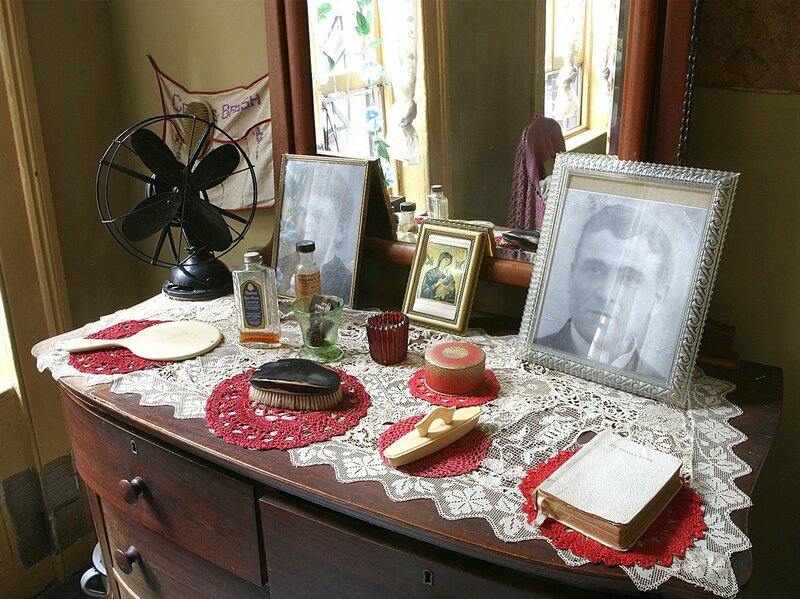 Visit the homes of two families who lived at 97 Orchard Street during the great wave of immigration. Learn about the jobs the Levine and Rogarshevsky families found in the garment industry and how work influences a family home, cultural traditions, and social lives. What roles do stores play in a community? Visit a recreated 1870s lager beer saloon and the apartment of it’s proprietors. 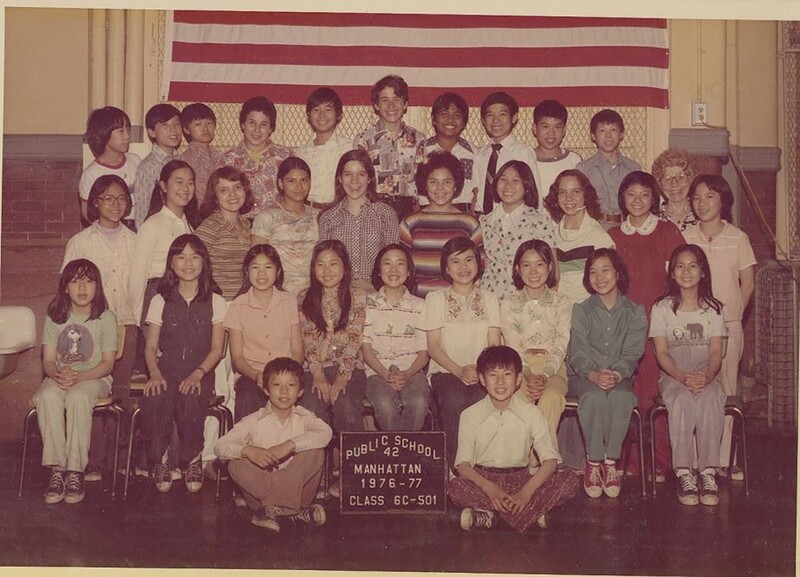 Students use objects and technology to examine the important role that stores have played and continue to play within immigrant community life. What’s it like to live in a diverse neighborhood? Discover stories of Lower East Side arrivals who lived at 103 Orchard Street in the 1950s through the 1980s and worked in the neighborhood’s garment industry. Neighborhood walking tours explore the Lower East Side and uncover the history and culture of the city streets. Walking tours take place outside (rain or shine) and do not enter the tenement buildings. How does food tell a story? 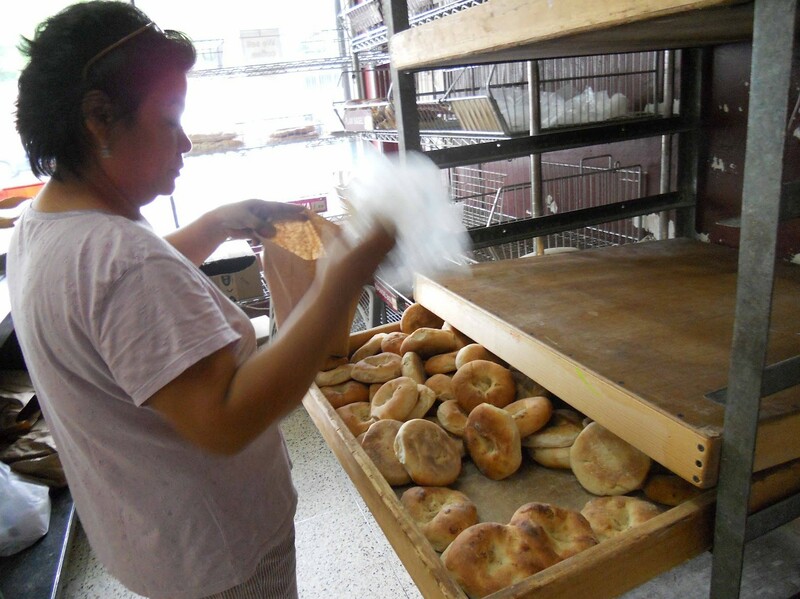 Students embark on a culinary journey as they investigate the neighborhood restaurants and markets, they sample foods and learn about the role immigrants play within American food culture. How has immigration shaped American food culture? 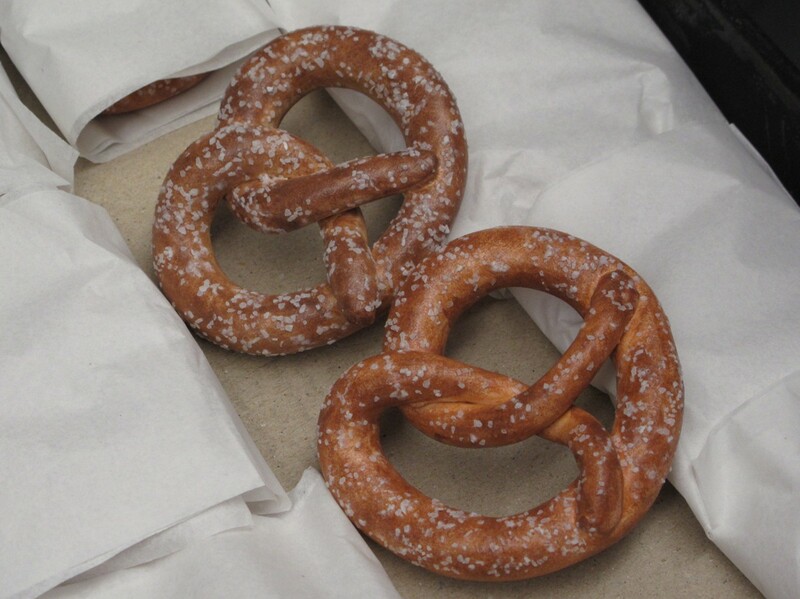 Students investigate the food culture of the Lower East Side. As they sample local treats representative of the neighborhood’s rich history, they explore the interplay between American and immigrant food ways. Discuss how public spaces and buildings shape a community’s identity. Learn how to read the history of change in a neighborhood. Stops include an Asian temple, a Depression-era park turned community garden, and a synagogue that became a church. Free ESOL workshops for New York City public middle and high school students provide a unique context for English language learning, help students place their own immigration experience within a broader historical and political framework, and promote critical engagement with civic issues. Which program is best suited for my students? Our skilled educators are trained to support students of all ages and abilities and will adapt our programs to meet the unique needs of your students. Please see our group reservations page for more information on programs and grade levels. What can I expect my students will see during their visit? Meet the Residents, Tour the Building, and ESOL programs visit our landmark tenement at 97 Orchard Street. Programs are centered on a theme related to migration and include a visit to a restored apartment and an activity in a classroom space. Please note that each of these tours visit different restored apartments and no tour encompasses the entire building. Neighborhood walking tours take place in our Lower East Side neighborhood and do not enter 97 or 103 Orchard Street. How can I prepare my students for our visit? Visit our Teacher Resources page for activities and lesson plans to support your visit to the Museum. Our lesson plans turn your students into historians and focus on three categories: historical objects, primary sources, and oral history. 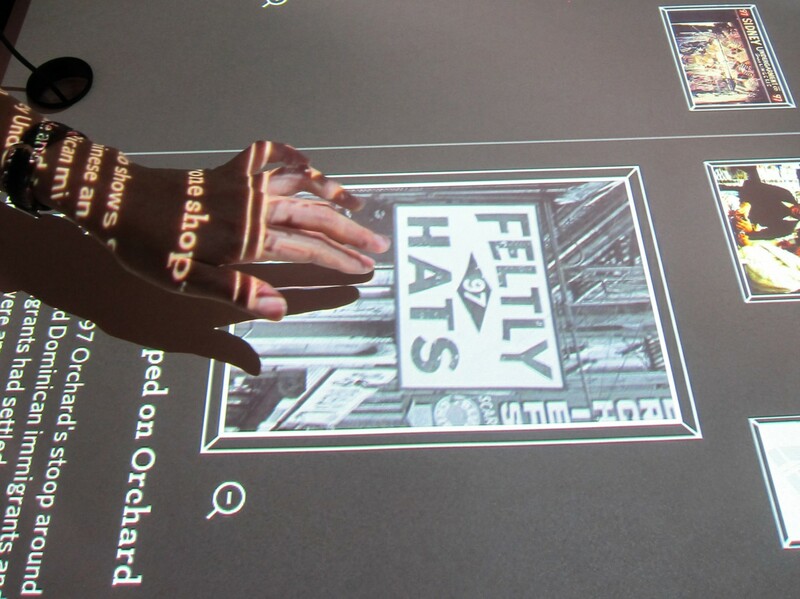 While all of the lessons relate to the learning that will happen at the Museum, certain lesson plans use content directly connected to particular tour. You can also supplement your visit to the Museum by participating in Your Story, Our Story, our digital storytelling project. Be prepared to divide your class into groups of no larger than 14 students and 1 chaperone. Small groups allow us to offer hands-on, student-centered learning experiences. In addition, the nature and size of our exhibits make it impossible to exceed a maximum capacity of 15 persons in a space at a time. Students will all visit the same spaces during their program, but be aware that they will do so in an alternate order, so teachers and chaperones cannot go back and forth between the groups. The museum supports students of all needs and abilities. Please describe any special consideration that would best prepare us for working with your students (learning styles, physical needs, cognitive and sensory challenges) when making your reservation. The more information you provide, the better we will be able to support your students’ unique needs. Please note that only our Shop Life and Under One Roof tours are wheelchair accessible inside our historic tenement buildings. 97 Orchard Street does not have an elevator — all visitors must climb at least one flight of stairs to enter the tenement. If anyone in your group has mobility impairments, please notify the Group Services Department so we can make appropriate arrangements. We would be happy to provide any member of your group with a Virtual Tour in a classroom space.